When it comes to buying clothes, I’ve always tried to stick to the mantra “buy quality, buy once”. In other words, you might save a few bucks at a discount store, but if the quality is poor, it just means you’ll have to buy another one soon. However, I also think that once you go over a certain price tag, you’re not getting any extra value for your money. There’s no way that a $10,000 jacket is 20 times better than a $500 one, for example. This is a point that has been brilliantly made by the low-price shoe retail company Payless, in a viral marketing campaign that saw well-to-do shoppers duped into spending silly money on what would usually be $20 shoes. 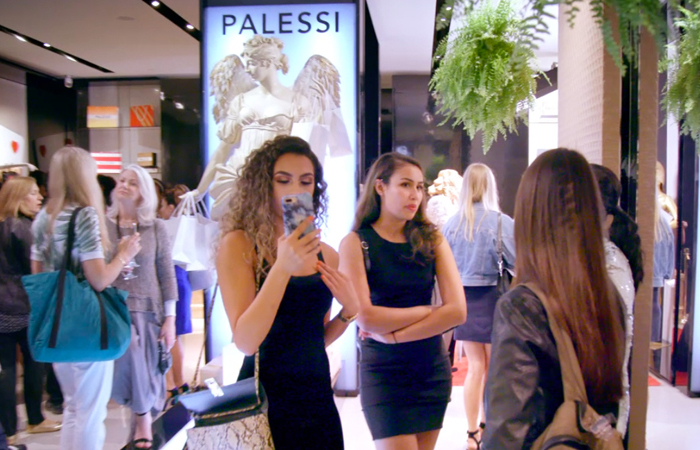 Payless typically caters to budget-conscious shoppers with its low-price footwear, but the discount store managed to get a bunch of gullible shoppers to drop hundreds of dollars each on their products by erecting a fake ‘luxury’ shoe store, which they brilliantly named Palessi. They opened it as a pop-up store, and made it look like your typical high-end shoe boutique in Los Angeles. They then set cameras rolling as rich customers wandered in. Demonstrating the fact that some people have more money than sense, the customers were willing to spend up to $600 on shoes that typically cost $20-60 – and they had no idea. The shoes were exactly the same ones that are sold in Payless stores across the country, only in a swanky new setting, with back-lit walls and an angelic statue figure. Purely because of this marketing ‘smoke and mirrors’, they managed to increase the price tenfold and have people pay it. Working the shop were employees dressed in sleek all-black ensembles, and a crowd of fashion lovers were invited to the opening. It’s genius psychology – I mean, how could all these people be wrong? But they were. As they shopped, several were stopped and interviewed about the shoes they were trying on and buying. The ad promises that those featured in the ad were all real people, not actors. “They’re elegant [and] sophisticated,” says one customer, holding up a floral pump. “I just think it’s so classy,” says another woman of a blue pump from the brand’s Christian Siriano collaboration. It just goes to show what the power of persuasion can do. Several shoppers posed with the shoes, which they paid $200 to $600 for. Most will have uploaded their snaps of the opening event to their social media accounts, but no doubt they deleted them pretty quickly when they realized what had happened. The video wasn’t just intended to make fun of dumb rich people- although, that was certainly part of the fun. Through this elaborate hoax, Payless were demonstrating the fact that just because their competitors charge more money, it does’t mean that the quality will go up with the price. If they’d walked into a Payless, they could have found some of the same ones for as little as $19.99. 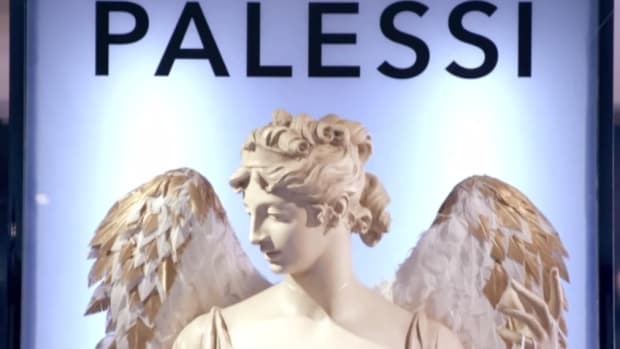 So, next time you’re out shopping for shoes, remember what happened at ‘Palessi’, and don’t be duped!